Intel - SL9JN SL9JN Intel Core DUO T2600 2.16GHZ 2MB L2 Cache 667MHZ FSB Socket PPGA-478 65NM 31W Processor Only. New Bulk Pack. Hewlett Packard - 413686-001 413686-001 HP - Intel Core Duo T2600 2.16GHZ 2MB L2 Cache 667MHZ FSB Socket PPGA-478 65NM 31W Processor Only. New Bulk Pack. Intel - LF80539GF0482M LF80539GF0482M Intel Core Duo T2600 2.16GHz 2MB L2 Cache 667MHz FSB Socket Ppga-478 65NM 31W Processor. New Bulk Pack. 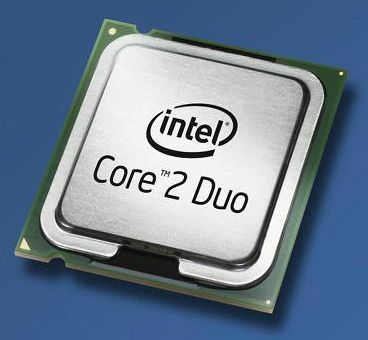 Intel - SL8VN SL8VN Intel Core Duo T2600 2.16GHz 2MB L2 Cache 667MHz FSB Socket PBGA 479 & PPGA 478 65NM 31W Mobile Processor. New Bulk Pack.